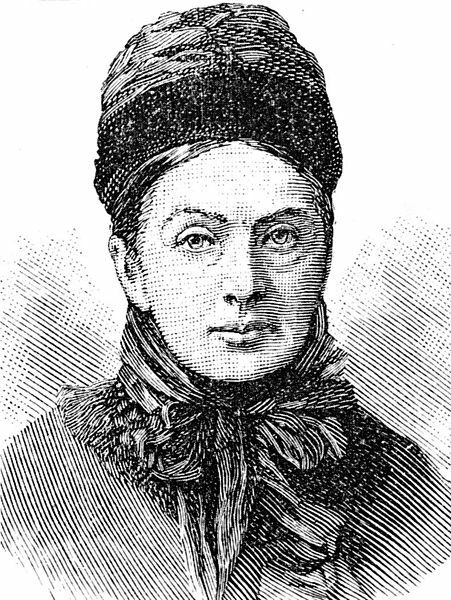 Isabella Bird, was one of the 19th century’s most remarkable women travellers and the first woman to be elected Fellow of the Royal Geographical Society. In her youth Isabella suffered from poor health and had an operation to remove a tumor from her spine. The operation was only partially successful, and she suffered from insomnia and depression. Her doctor recommended that she travel, and in 1854 her father gave her 100 pounds and told her she was free to go wherever she wanted. She first travelled to Canada and the USA and the letters she wrote to her sister became her first book, The Englishwoman in America. After the death of her father Isabella moved to and settled Edinburgh. Although she made several short trips, the real turning point in her life came when she travelled to Hawaii. She had been heading for New Zealand but instead got off at Hawaii and stayed there for six months. While there she climbed Mauna Kea and Mauna Loa. From Hawaii, Isabella went again to the United States, to Colorado, where she travelled extensively alone by horse having many adventures, including riding through a blizzard with her eyes frozen shut. After the USA Isabella went to Japan and travelled to the most northern part of the country, where she stayed among members of the Ainu tribe, the original, non-Japanese, inhabitants of the islands. She continued her travels throughout Japan and Singapore before returning to the UK to find books detailing her adventures in Hawaii and the Rocky Mountains had made her famous. Isabella married but her husband died just 5 years after their marriage and following his death she once gain set out on her travels, this time to India and the Middle East, where she established the Henrietta Bird Hospital in Amritsar and the John Bishop Memorial Hospital, in memory of her recently deceased husband, in Srinigar. She travelled to Kashmir and to Ladakh in the far north on the border with Tibet and across to Persia, where she joined a group of British soldiers travelling between Baghdad and Tehran, arriving with her travelling companion in Tehran half-dead. From here Isabella once again set out alone and spent the next six months travelling at the head of her own caravan through northern Iran, Kurdistan, and Turkey. By the time she next returned to the UK she was extremely well known and respected and was made a fellow of the Royal Scottish Geographical Society and the first woman fellow of the Royal Geographical Society. She was unable to settle and once again set of on her travels, venturing again to the far east, visiting Korea, Manchuria and by sampan on the Yangtze River into China. In Sichuan province she was attacked and locked in the top floor of a house, which was then set on fire. She was rescued at the last minute by a detachment of soldiers. At another place she was stoned and knocked unconscious. Her final adventures were in Morocco, where she travelled among the Berbers. She died in Edinburgh at the age of 72. Isabella Bird climbed mountains and volcanoes, she saw palaces and slums. She recorded all of her adventures in her books, the later works being beautifully illustrated with her own photographs.